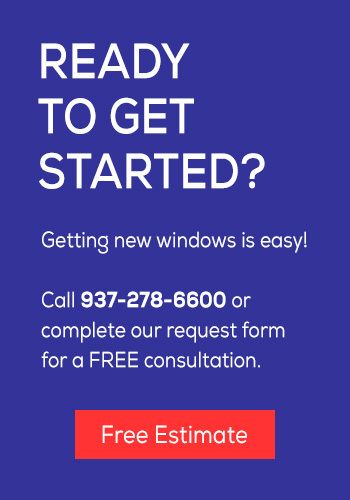 Your Dayton Window Experts won’t let you down! Products Warranty – licensed Window Depot partners provide products manufactured by the finest window & door companies in America. These companies supply the product warranty that is the foundation of our Product Warranties. Under this protection, the vinyl components of the window will not blister, peel, rot, or corrode. Additionally, mechanical/working parts are warranted to be free from manufactured defects in material and workmanship. Replacement parts will be supplied at no charge. Length of warranty coverage, along with other terms & conditions are defined by the original manufacturer warranty document. WINDOW DEPOT IS NOT A MANUFACTURER OF HOME IMPROVEMENT PRODUCTS. ALL WINDOW DEPOT PRODUCTS CARRY THEIR OWN PRODUCT WARRANTIES, SUPPORTED SOLEY BY THE MANUFACTURER. A COPY OF THAT MANUFACTURERS WARRANTY SHALL BE SUPPLIED TO YOU BY YOUR LOCAL WINDOW DEPOT LICENSEE. Insulated Glass Warranty – the sealed insulated glass unit is warranted against defects resulting in material obstruction of vision from film formation caused by dust or moisture in the dead air space of the sealed unit (Seal Failure). If the glass unit fails, the Manufacturer will provide the Owner with a replacement insulated glass unit at no extra charge. Optional Glass Breakage Warranty – For the term of the warranty, the Manufacturer will provide the Owner with a replacement insulated glass unit in the event of accidental glass breakage. Lifetime Glass Breakage option must be selected on the original purchase contract. Please see manufacturer’s warranty for additional details. Labor Warranty – all labor necessary to correct any item covered by this warranty will be provided at no extra charge by the Seller for a period of 36 months from the original date of installation. There is a nominal trip charge after three years for all service calls. Labor Warranty is the responsibility of the locally owned and operated business identified on your Window Depot sales agreement. Transferable Warranty – This warranty may be transferred to a subsequent owner of the same residence. Please see original manufacturer warranty for additional details and transfer instructions. Your local Window Depot partner will gladly assist you with this transfer. Acts of God (hurricanes, tornadoes, floods, etc…) acts of war, riots, fire, stress resulting from localized heat, modification, acts of war, terrorism and vandalism are not covered by this warranty. Any replacement warranty parts may incur a shipping/freight charge. This warranty is exclusively for windows installed by the Seller. Any additional products, such as doors, installed by the Seller, in conjunction with the window contract / installation will carry the warranty provided by the appropriate manufacturer.